64F at 11am with scudding, cotton wool cloud cover allowing hints of blue skies beyond and brief flashes of blazing sunshine. An intermittent warm breeze. Update: 70F by mid-afternoon. 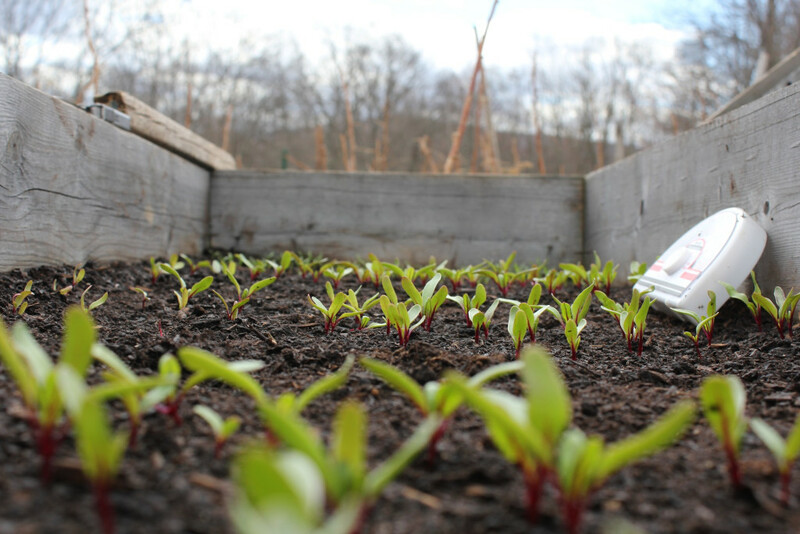 This entry was posted in Daily Catskills and tagged Beet Seedlings, Catskills, Photography, Seedlings, Spring, Spring Planting on May 2, 2015 by JNUrbanski.